ONE) I wish Marvel would stop returning to old Marvel incrementally, and just do a big month event and get it over with. Blame it on Kang or someone. It's sad to read through the listings of the most famous comic brand on the planet, and the main thing that pauses your pulse is the latest range of True Believer $1 reprints, which in April, feature Thanos's key appearances. These include Infinity Gauntlet #1, Infinity War #1, and Rebirth of Thanos which represents Silver Surfer #34. 2) With Deadpool 2 about to make her a household name, there are no surprises that Domino falls into her own series in April. While I'm surprised the book has writer Gail Simone at the helm, over someone more Ed Brubaker-ish in terms of style, Grant Morrison once opened my eyes to this character's potential in the pages of New X-Men and Gail could easily do the same. 3) Frank Castle would never wear a suit of armour. His war against crime is an arsenal of guns, rope and everyman items - but stick him in armour and you loose that. In The Punisher #223 Frank's War Machine armour finally gets beaten down, and he has to go "old school" to survive. THAT is the Punisher. 4) Rebirth-ish storyline No Surrender concludes in Avengers #690 in April and promises that those left standing will step forward to usher in a new age. But who? Judging from that variant cover on the left, I'd say they have the first member right - or is it Cap's final farewell? 5) Two of the Fantastic Four's greatest foes stand seconds from destroying the multiverse and only The Thing and Human Torch stand between them and victory. So what else is new? The return of the Fantastic Four continues here in Marvel 2-In-One #5.
by the way Dan, a while back you had a posting about white supremacist rally in Sacramento in which some counter protester showed up in Captain America cosplay but i can't find that posting now. Hey Dave! Nice spotting! Re the missing link: are you sure that was me, I don't think I would promote idiots on this page - even if Cap did show up to sort them out. by the way Dan that shield on the back of the guy on the motorcycle from last week that i posted is a real shield not a backpack. probably not made out of vibranium however. Yeah Googum told me yesterday about Gail Simone writing Domino. Not be Debby downer again, but as nice as it is to give a strong character like Domino a regular monthly, I don't expect to last a year or half, Simone or not. Just seems to be the trend over there lately. But hey, Marvel is smart to cash in on her appearance in DP2 or else this wouldn't have happened. 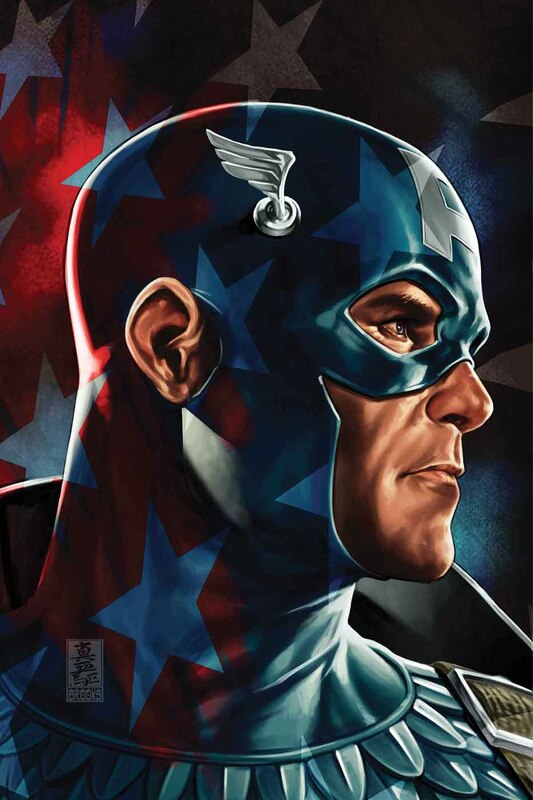 I can't NOT see Cap as an Avenger. Even when he left after Operation Galactic Storm, we always knew he'd be back, so I'd expect since him to lead this new iteration of the Avengers. I hear you about the first one. And using Kang to mess with time like that would be a pretty good idea. Apparently the MU's only 17 years old these days, so someone's got to be blamed for that. I would love a domino or Black Widow series to last. I think the problem isn't so much the timespan of comics, its that there are too many and the audience has a limited disposable income. In all the noise of new releases and titles, its hard to hear of new ones starring your favourite characters, let alone squeese them into your to buy list. All publishers need to balance survival with realistic expectations. Exactly. Unfortunately from what I hear, the comic market and whole system of marketing, is an unmitigated mess. Until that's cleared up, things will stay the same. Also with the massive archives available online you don't have a lack of stuff that you KNOW is good and worth the money. Ooh. I'm excited about Gail Simone doing Domino. I might actually read that now.